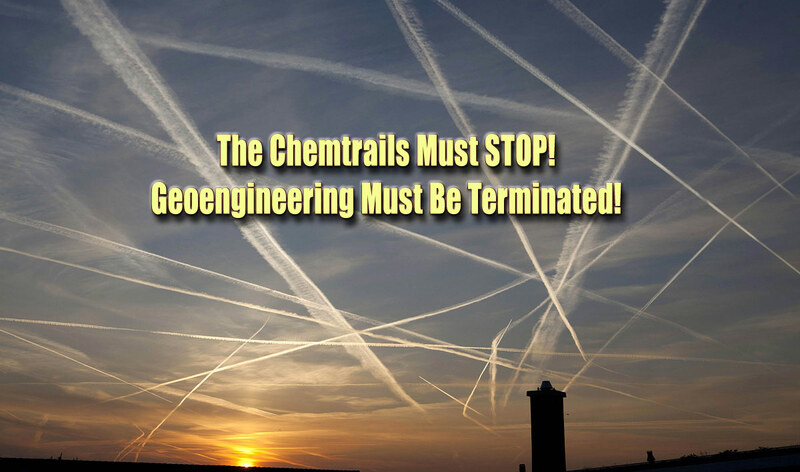 Chemtrails are a favorite topic for “conspiracy theorist”, but are they real? 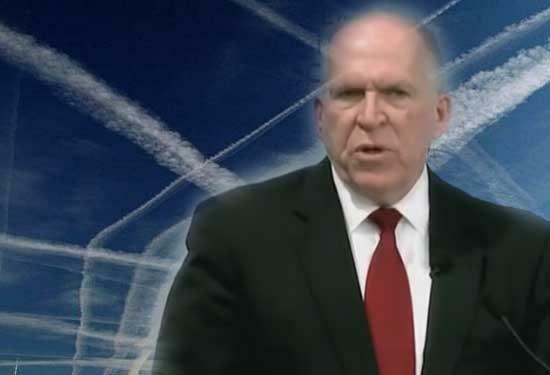 On June 29, 2016 the Central Intelligence Agency Director, John O. Brennan joined the ranks of conspiracy theorist when he gave a presentation in front of the Council on Foreign Relations (CFR). In his presentation, Mr. Brennan, like all good conspiracy theorist, discussed Geoengineering or Stratospheric Aerosol Injection (SAI), which is a method of seeding the stratosphere with particles that can reflect the sun’s heat, in much the same way that volcanic eruptions do. In his talk Brennan admits that SAI can alter weather patterns in certain regions of the world, at the expense of other regions. The video can be viewed below. 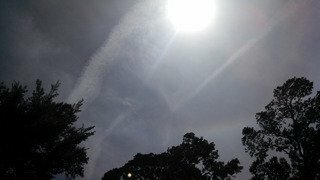 His talk on Geoengineering beings at the 12:00 minute mark. 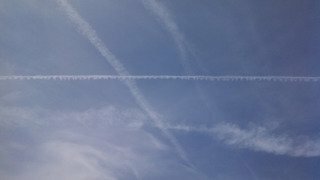 Reporter James Corbett picked up on the latest government admission of Chemtrails existence and use in his interview today with author Peter Kirby, who’s book is entitled “Chemtrails Exposed : A New Manhattan Project”. 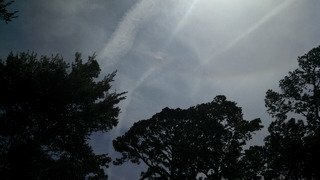 Concepts for directly and deliberately manipulating Earth’s climate system, collectively referred to as “geoengineering,” have been proposed as contingency responses to global warming. This talk will cover the motivations and risks of geoengineering and what can be done to support informed decision-making. This technique has already been attempted on a small scale. 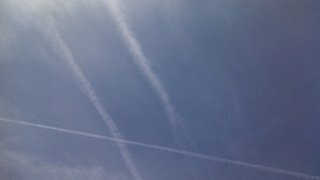 But if you live in the United States, you’ve probably seen chemtrails being undertaken on a very large scale; if not you’ve likely seen images. 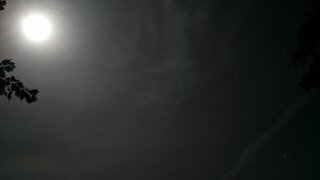 Here are some I’ve taken from above my own house. 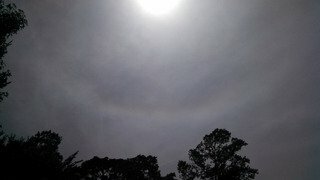 The images were taken over a few hours. What started as a beautiful blue sky ended in hazy horror almost blocking the sun. attempt to slow or reverse global warming. 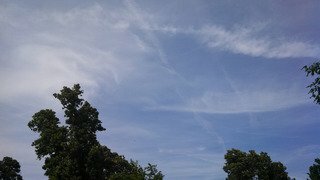 So it’s becoming quite obvious, to those who are willing to pay attention, that Geoengineering, Chemtrails or whatever you wish to call it is quite real. But just how far back does the technology go? For that we need to investigate the patents that date back to the 1920′s. Just to give you a glimpse of how real this technology is, I have included a rather extensive list below with links along with some other credible resources. Now we need to get to the bottom of Geoengineering’s purpose. Currently Global Warming (aka Climate Change) is being given as the reason for their widespread use. However, if you call NASA they may tell you a different story about using Chemtrails to test wind patterns at different levels, and online bloggers and vloggers will give you an entirely different view of their true purpose. In other words, we don’t really know. 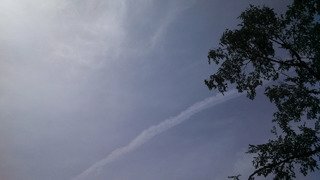 What we do know for sure is that Chemtrails are real. 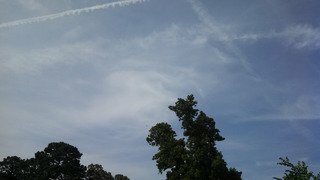 ← Even The Geoengineers Are Raining On Donald Trump’s Parade!